Everyone expected alien life to descend from the stars, not rise from beneath the ocean. A rip in dimensional space has created a portal for giant monsters, or ‘Kaiju’, to enter our planet through the heart of the Pacific Ocean. This signals the end of life as we know it until mankind decides to fight back. In order to fight monsters, they create monsters of their own. Called ‘Jaegers’, these man made giant robots, piloted by humans, take the fight to the Kaiju’s in a bid to save the world from total extinction. 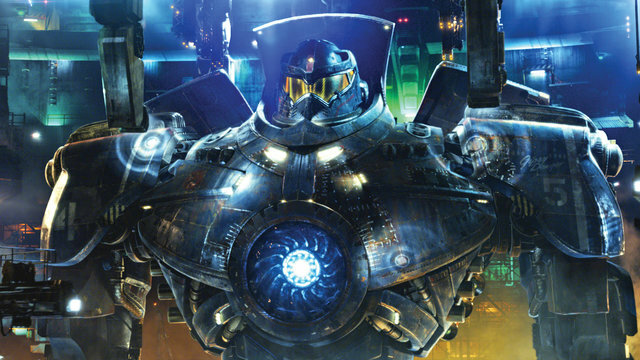 If you put Independence Day, Top Gun, Jurassic Park and Transformers in a blender, Pacific Rim is what pours out. Usually a mash-up of this magnitude would guarantee a mess of a movie but congratulations to Warner Bros who have actually crafted a decent story here. This is a film that goes big at every opportunity which results in some breathtaking spectacle. The size and scale of these robots are brilliantly rendered and give the film an epic feel throughout. Throw in excellent CGI that doesn’t give you epilepsy and some awesome monsters and you have one of the most exciting summer films of the year and an adrenalin ride like no other. Leading the way is Hollywood’s favourite up and comer Charlie Hunnam. The Newcastle-born lad does well here and clearly has the charisma and charm needed to lead such a massive movie. He brings his everyman quality to the character of Raleigh and makes it easy for us to champion his characters’ cause. 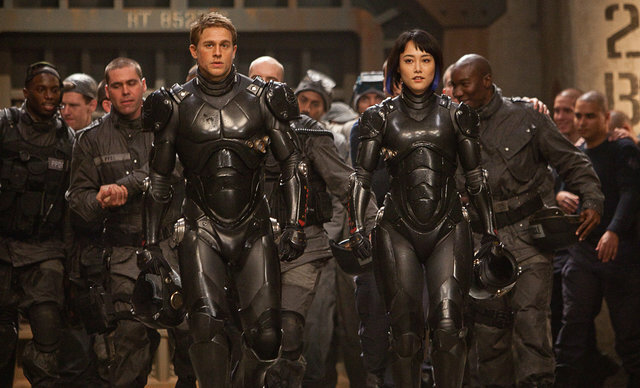 He also shares a great chemistry with Rinko Kikuchi as Mako, his would-be Jaeger partner and potential love interest. 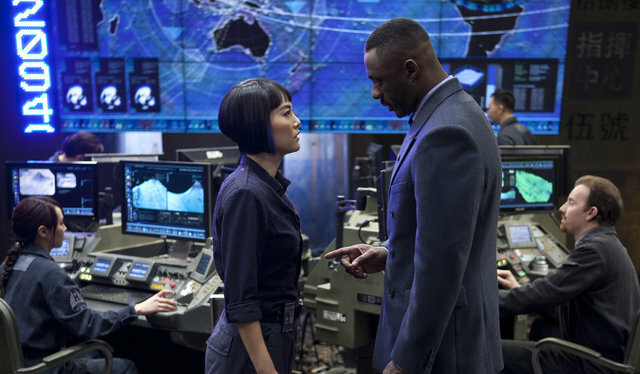 Idris Elba hands in a cultured portrayal of an army general named Stacker Pentecost who is tasked with heading the Jaeger program. He is always magnetic onscreen and does very well as the moral backbone of this project. Throw in a good chemistry with both Hunnam and Kikuchi and some decent moments of action and you have one of Elba’s best roles to date. The supporting cast are all fine with Robert Kazinsky the token bad-boy of the resistance. He may dip into pantomime every once in awhile but he does what’s required. He also really sells the Maverick/Iceman dynamic from Top Gun alongside Hunnam’s Raleigh. Their rivalry provides a nice break from the carnage and allows the characters to connect with the audience. Clifton Collins Jr. shows up as tech support but deserved a much bigger role whilst Max Martini is on hand for stern fatherly advice to both men. Burn Gorman and Charlie Day are present for light comic relief and there’s a cracking cameo from Guillermo del Toro favourite Ron Perlman as a black market criminal with shiny gold tipped shoes. If there are downsides, it’s with the implementation of the robots. Ironically, Pacific Rim could have used at least one more big action sequence. There was also room to make these Jaegers a lot more fluid in movement. These robots are quite lumbering when all is said and done so a few modifications and speed could have really elevated the action set-pieces to a new level. 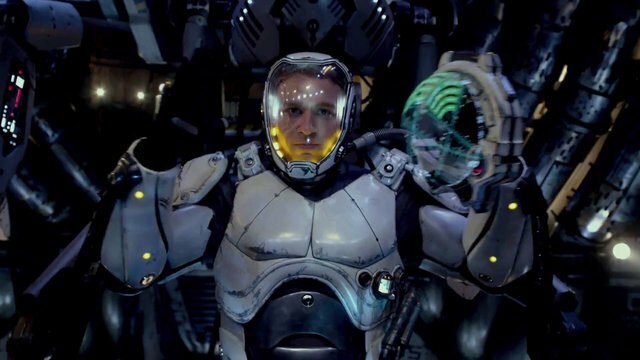 Pacific Rim is one of the better blockbusters of 2013 and deserves your time and money. With big spectacle, a good central story and decent CGI, it’s what the summer season was created for. It allows characterisation to define its spectacle and that’s no bad thing either – it’s just a shame that the fights leave you wanting a bit more. Cheat series 2: should ITV’s smash-hit drama get another series?